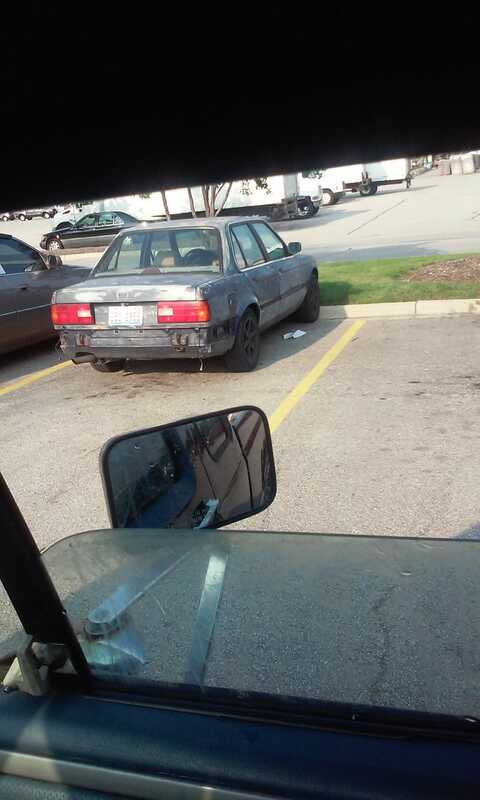 Zero F--ks Given BMW Found In Chicagoland. It’s the best pic I could get as I was fighting off a Black Lab that desperately wanted that window seat. I’ve seen this thing online before somewhere. It’s covered in Bondo and Primer. And the driver side front wing is gone too. I like it and hate it all at once.